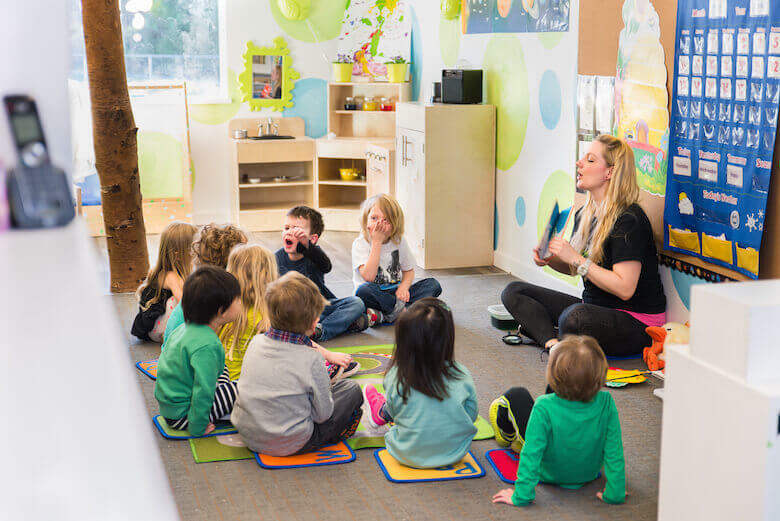 At Rainforest Daycare (Coquitlam & Langley), we are always scouring the Internet for new innovative ideas and concepts to share with our kids. Some of these ideas may be relevant to what we teach within our daycare and some of them are simply excellent information we feel worthwhile sharing on our social media pages for parents to follow and run with. After all, we work with kids every day! A professionally run daycare environment offers children many opportunities. Some of these opportunities include structure (having to have your young one at a daycare facility at a set time every day), social interaction, learning (in a group environment) and sharing. One of the most prominent concepts is educating our children about some of the feelings they may have and what it means. When teaching our kids about feelings or emotions, we tend to gravitate toward obvious words like happy, sad, mad, etc. Although these are great words, there is a plethora of other ‘feeling’ type words that children should also learn and be aware of. Some of these include: Brave, cheerful, confused, curious, disappointed, embarrassed, excited, fantastic, friendly, generous, ignored, impatient, important, interested, jealous, lonely, confused, angry, cheerful, bored, surprised, proud, frustrated, silly, uncomfortable, worried, stubborn, shy, satisfied, safe, relieved, peaceful, overwhelmed, loving, tense and calm. We only need to look to last Friday where our Coquitlam Daycare location performed a craft building project of planes like Leonardo da Vinci. The emotions that came out of this project were tremendous and very positive. A few feelings expressed included; excited, proud and happy. Sometimes, as parents, depending on the age of our little one, teaching them about emotions may be challenging. How do you explain to a 2 or 3 year old what ‘impatient’ or ‘relieved’ is? The process is an ongoing one that we, as parents, must keep on top of during their developing years. With repetition and tuning into your child’s emotions, they will start to understand. In certain situations, as a parent, I will stop my child and ask him ‘are you feeling…?’ Sometimes he will just look at me with a blank look, sometimes he will inquire as to what I mean and sometimes he will just answer with a simple yes or no. On the other side, I will occasionally tell my little one, ‘you look…’ Again, I may get a confused look, however after explaining and over time he is eventually able to put one and one together. You know they are starting to get it when they are able to repeat some of the various words you have used. This is all a part of the engagement process, one of the many teaching skills we practice at both our daycare locations (Coquitlam & Langley).